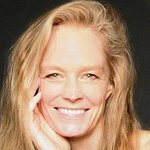 Suzy Amis Cameron, founder of the Red Carpet Green Dress design contest, has announced the winning dress and surprise actress who will wear the sustainable gown to the 84th Academy Awards. Actress Missi Pyle, recently seen in the Academy Award nominated film “The Artist,” will wear a design by Valentina Delfino when she attends the 84th Academy Awards. Delfino – born in Venezuela and based in Miami – was among hundreds from around the world who submitted a sustainable dress design for the competition, which began last November. 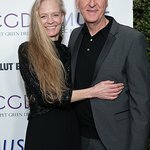 Environmental advocate and wife of Director James Cameron, Suzy Amis Cameron started the Red Carpet Green Dress contest in 2009, during a non-stop red carpet bonanza she experienced while attending “Avatar” premieres, in which she wore countless dresses and began to understand the environmental footprint fashion can have on our planet. 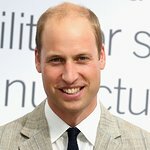 The experience helped her shape the global challenge, now in its third year, in which designers submit red carpet worthy designs made entirely of sustainable materials. Red Carpet Green Dress benefits MUSE School CA and Global MUSE – a non-profit founded by Suzy Amis Cameron and her sister Rebecca Amis to provide resources to their partner schools around the world. Their initiatives include assistance for basic school operations, curriculum development, and nutritious lunches for every student.